Sunshine is Mr. Social. 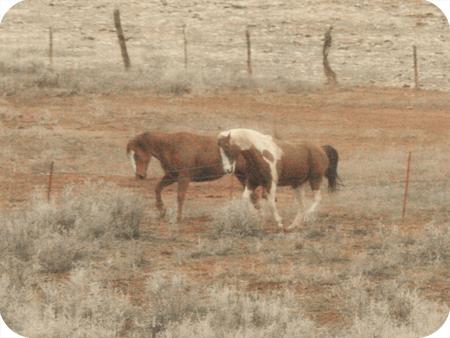 He’s the Paint horse on the right. He wants to know everybody. And to know him is to be loved by him. Sunshine is what’s known as a “pasture pig” ~ he stands around and eats all day. He’s hard to ride for work because he doesn’t like breaking trail; he prefers to follow another horse and stick to a leisurely walking pace. But Sunshine works in other ways. He brings light and love to those around him. He’s gentle. He’s happy. He loves getting attention and loves giving it. I’ve spent many an hour simply laying on his back, looking at the stars. When I was riding Houdini regularly (pre-Ranger), I always brought Sunshine along on a lead because he would work himself into a lather if he was left behind (they are brothers, after all). When the three of us traveled the county road, we had to detour at every pasture along the way so that Sunshine could say hello (and sometimes even flirt) with each and every horse we passed. 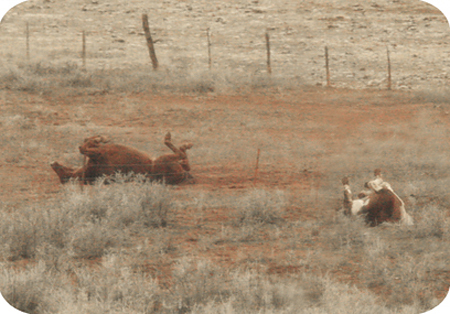 He and the neighbor’s horse have had hilarious rituals across the fence, mirroring eachother, down to synchronized rolling. Give and take ~ it’s Sunshine’s way. But he’s never been afraid to be the first to give. Thanks so much for the pics of the horses. They were great. We too have a pasture pig. Our boys are nephew and uncle. And they are balistic if one gets left behind. Pacing and “screaming”. 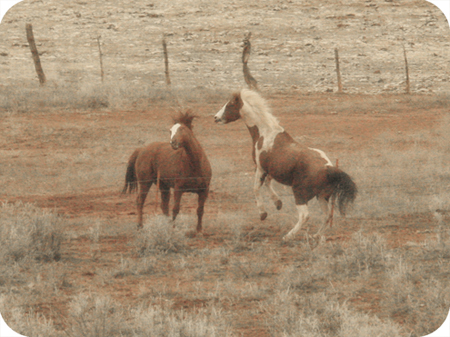 They do both love to trail ride and love to canter/gallop and love racing with them across a pasture! Shreve, thanks for posting the story and pictures. They’re really good. 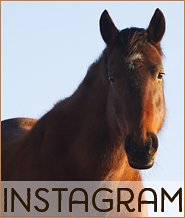 I love hearing about your horses, so please post more things about them! …makes me yearn to smell a horse again. I’m in love w/Sunshine. Thanks so much for the pics and “The Psalm of Sunshine”. Nice to get the horse pictures and learn about Sunshine’s personality. Was Houdini’s name indicative of his talents? This makes me want a horse so badly!! Such beautiful pictures. Thanks so much. 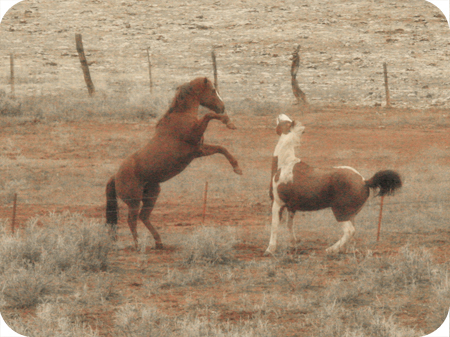 It’s wonderful to know domesticated horses are expressive and playful. These photos are exquisite. I also love the photo Sarah took of Sunshine’s eye. Love the description and pictures of Sunshine’s routine with his neighbor. 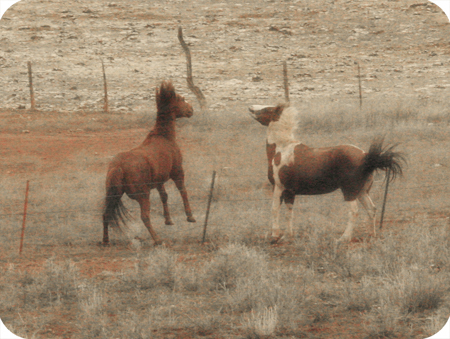 I find how horses can go from lolling on their backs, all four hooves in the air, to thundering across a pasture at a dead run one of the most amazing things about them. Hi Shreve. Just a word of caution. 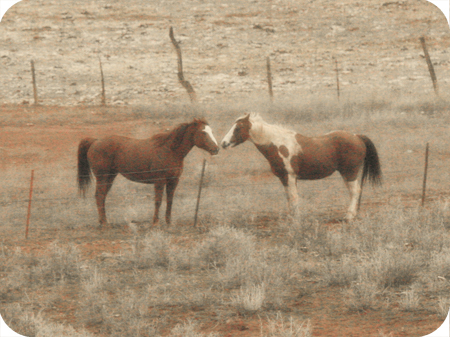 Your pics illustrate also, why, in a perfect world, you would never put horses on either side of a wire fence. They play, they tangle, they injure. Sometimes it can’t be helped. Sometimes the horses are sensible enough to know better. I understand that. Cheers to you. These pictures are hilarious! Sunshine is wonderful! I do love me a horse that gives that kind of love you speak of. I find I can usually get a great big smooshy kiss on the horse lips, if I know there’s a simpatico between us. Sounds like Mr. Sunshine is that kind of horse. Your photo story behind his lovliness is most appreciated! This post made me happy!! Sunshine sounds like he may have been a dog in a previous life. Does he do the horse equivalent of wagging his tail? Lovely sequence! I’d love to be out there with the horses. You’re so very lucky to even have the chance. Thank you SO MUCH for sharing this with all of us. Reading about Sunshine and looking at the pictures this morning put a big smile on my face. You are living such a magical life and sharing that is such a gift. I love these pics! You are a fabulous photographer, Shreve! As a child I swore I’d have a horse when I grew up, and would ride it across the country. Instead, I have a motorcycle and ride my iron horse across the country. You give us all a taste of these things and I appreciate it!!! Sunshine sounds like my kind of horse. Lovely! A horse with a great big old soul. So amazing! Makes me miss the days on the farm. You have such a wonderful life! Thanks for the lovely photos..I miss being around horses. Aw that is so cute! The photos are great! Never realized horses had such personalities. . . or should I say horsonalities! Thanks!! I’ve always loved horses. They are as smart as they are beautiful, and their personalities are so wonderful. Thanks for bringing to light the antics of your of all your darling equines. Your photos and comments give me a big smile to go with that morning cup of coffee. I love this post! Those pictures are just perfect. I didn’t realize horses were such funny characters. They look like they are having such a great time with each other! On another note…I’m so glad you’ve set up this blog. 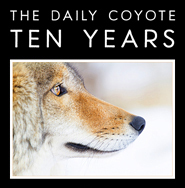 I’ve been visiting the daily coyote for years and have longed to read more about your daily life. Thanks! I found your site on google, great site, keep it up. Will return in the future. Submitted this post to the Google News Reader. For some reason this series of photos and the story made me tear up…..I love your site and life….. Hence the word..horseplay!! But please, put some caps on those t-posts.